Emergencies involve a woman goes to great extremes on top of a freeway overpass to get the attention of her husband; A couple are involved in a car accident on their wedding day and a first date goes down the toilet. Air Date: Monday, Nov. 5 (9:00-10:00 PM ET/PT) on FOX. 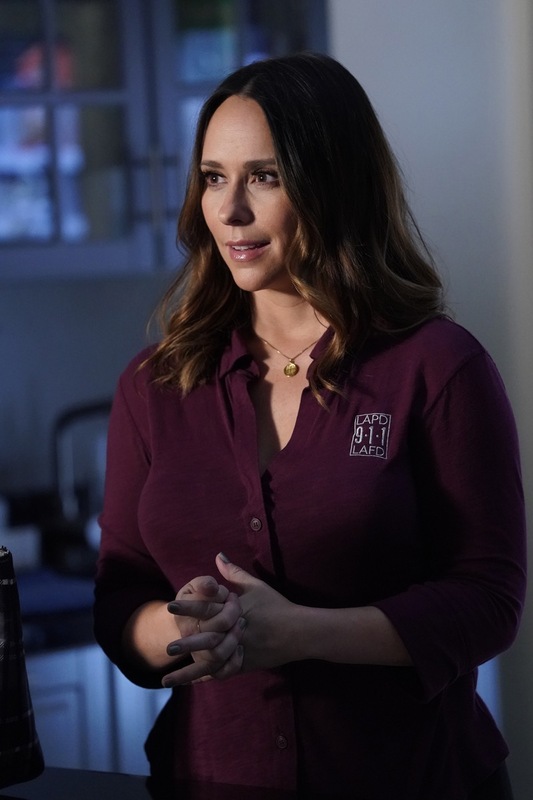 9-1-1: Jennifer Love Hewitt in the “Buck, Actually” episode of 9-1-1 airing Monday, Nov. 5 (9:00-10:00 PM ET/PT) on FOX. © 2018 FOX Broadcasting. Cr: Jack Zeman / FOX.